Exploring career decisions provides an orientation to the world of work. Emphasis is placed on self-awareness, awareness, understanding the world of work, and the career planning process. Based on the National Career Development Guidelines, skills learned in this course include, but are not limited to, communication, personal management, and teamwork. Language Arts is reinforced. 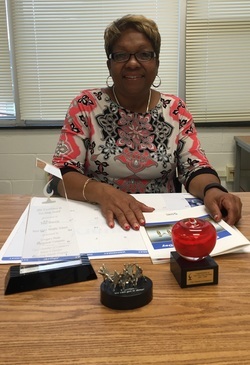 Greeting, My name is Toni Harris and I am the Career Development Coordinator for West Cary Middle School (WCMS). A dedicated, resourceful and innovative leader and instructor who strives to help students change marginal grades into good grades, and supports colleagues and administration in facilitating each child’s social and intellectual growth by creating an atmosphere of mutual respect and open communication. Exceptional communicator and relationship builder with students, parents, and the community. As the Career Development Coordinator, I am responsible for coordinating career development services for all students in grades 6-8 and for establishing and maintaining business/education partnerships that support WCMS's mission and School Improvement Plans. My goal is to serve all students by building linkages with the school staff, business/industry representatives, parents, and civic and community organizations.